So in God's eyes there must be another way to measure success. And let us remember that the only one Whose opinion truly counts is Almighty God. God's measure of success for us is our conformity with His holy will. Saint Vincent de Paul said: “Conformity to the divine will a sovereign remedy for all evils.” Yes, God has all things in His Providence. The only true evil in the world is sin. We call many things evil, because they go against our desires. However, God sends them for our good just as a good doctor prescribes medicine that tastes bad, but is necessary for our health. The Will of God is the medicine for our spiritual health, that comes from the Divine Physician. How do we recognize God's will? First of all God expresses His will to us through His Commandments, especially the Ten Commandments. “If you love me, keep my commandments.” (John 14:15) God also speaks to us through the Laws He has inspired His holy Church to make for our own salvation and sanctification. Seven of these are known to us through the Catechism as the Commandments of the Church. Secondly, He speaks to us through spiritual reading, which is why daily spiritual reading is essential to salvation. And finally God speaks by the circumstances of our lives. God sends many things into our lives for good or for us to do good to others. In fact, one of the Fathers of the Church defines the good life as everyone we come in contact is better off for having had us in their life. Stop a moment and meditate on just how important it is to conform our self to God's will in ALL things. 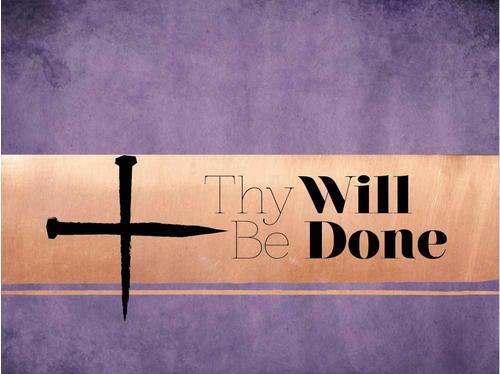 Obedience to His will will make you a Saint; disobedience to His will is deadly to our souls. It would be good to go to Sacred Scripture and reread the various stories above and take them to heart. Whole nations have been published for disobedience to God's will and they will be punished again.